This summer, you can help send a girl to camp! This year, thanks to generous donors like you, almost 1,000 girls will attend Girlstart Summer Camp. Of these, over 600 girls need scholarships for camp. Some of our corporate and foundation sponsors have made this possible, but you can help too! Our goal is to raise $50,000 to offset the cost and send the rest of these girls to camp. You can make it possible for girls to attend Girlstart Summer Camp all over the nation (Bay Area, Chicago area, Texas, Boston area, St. Louis, and Seattle area). 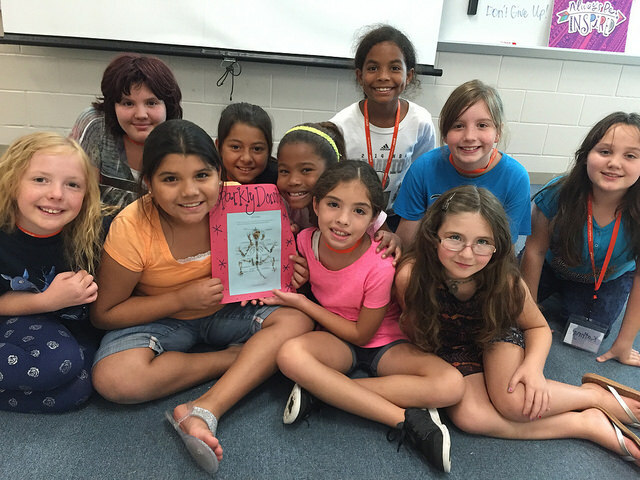 Because of you, girls CAN gain vital STEM skills during their summer break. Thank you for believing that girls can transform our world! Donate Today and help a girl become BRAVE, CURIOUS, and CREATIVE! the course of a girl’s life and her future! Make your own personal or team page HERE to raise funds. Feel free to copy this sample or write your own.